Every year, the Peter Drucker Society Europe unveils a unique essay contest inviting original ideas and thoughts from students and young professionals from all over the world: The Drucker Challenge. With this year’s theme, “How to stay human in a robot society”, the challenge invited opinions on how Peter Drucker would react if he met his android twin today and if Drucker’s human-centered approach would be of any help in maintaining the face of society in the context of AI. Staying true to the spirit of the “father of modern management” himself, the contest also solicited views on the kind of leadership, talent and organizational culture that will be required. 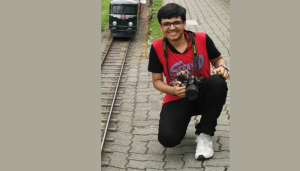 First year student 18-year-old Mukund Choudhary from the Computational Linguistics Dual Degree course has bagged the Special Recognition Award for the most original essay in the student category. What it means is that he is among the top 20 of the finalists who has been selected through a rigorous 2-stage jury process among 470 submissions from 60 countries for free access to the prestigious 10th Global Peter Drucker forum to be held in Vienna on November 29-30, 2018. As winner of the special award, he also stands to receive travel funding for the gala event. Keeping in mind the contest’s mandate of providing “personal insights” into the theme, Mukund’s essay on “Who’s The Moron?” debates whether it is the computer or man himself who is smarter. Laced with quotes by Peter Drucker, and authentic news headlines from early this year, Mukund makes a compelling narrative for whether or not Peter Drucker’s human-centered approach can be applied to a society in the age of AI. He asks,” Can we create something that creates creativity or imagine something that imagines imagination, all the while respecting and growing humans and their values?” With examples of self-driving cars that can’t handle exceptions yet, notifications that distract more than notify, social networks that are more of suicidal tools, Mukund explains how AI hasn’t taken over the human world yet, and how we could co-exist with it, helping it reach greater heights. He concludes with his creative and unique retelling of Moshidora, an anime series based on the novel by Natsumi Iwasaki (all 10 episodes) aligned with this year’s theme. The original series follows high school girl Minami Kawashima who manages her school’s baseball team using Peter Drucker’s ‘Management: Tasks, Responsibilities, Practices’ to rally her dispirited teammates. In Mukund’s retelling, Minami seeks the help of an automated assistant JARVIS who in turn comes up with contents of the book and helps in analyzing player profiles, and so on. 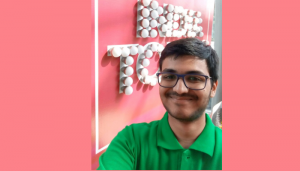 For someone who was participating in and winning national level quizzes by 10th grade, Mukund naturally progressed towards spelling bees and other puzzles in language and linguistics, such as the Panini Linguistic Olympiad. So excited was he when IIIT-H announced the Olympiad mode of admission into the CLD Dual Degree course, that Mukund terms it as his most “unbirthday” gift ever. 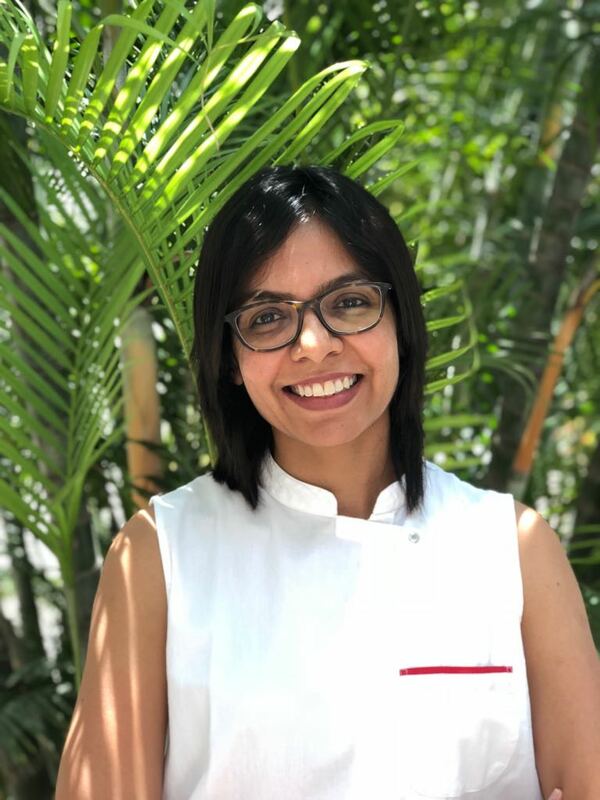 “I had finally found a course that empowered me with the much required CS background while not letting go of linguistics in the process. That was the best thing for me,” he says. 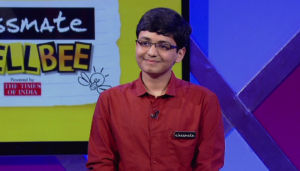 With quizzing that runs in the family – his father is an avid quizzer too – Mukund has not only won quizzes in various domains such as Finance (RBI National Level Quiz), Travel (Thomas Cook Travel Quest), and on other topics such as safety, heritage, and even a specialized quiz on news, but made over 20 national TV appearances. He has also been an expert panellist multiple times on the National Spell Bee. When he’s not gathering trivia, he loves reading comics. “I like analysing the flow and the character build up and the long cross cutting story arcs with other comics,” says Mukund. While he’s quick to add that he doesn’t know “n” number of languages, Mukund states that Linguistics is his passion. So much so that whenever he comes across an unusual speech variant, he subconsciously tries to analyze where the speaker could be from. ”If I don’t see a new concept and am bored in class, I start looking for patterns in the professors’ speech as a pastime,” he says with a grin. In fact, even in school he ran a Linguistics Cafe where students could come in and explore the entry points to Linguistics and if interested could also solve some puzzles in Linguistics. It was this interest in Computational Linguistics that also paved his way to an interest in AI in general. 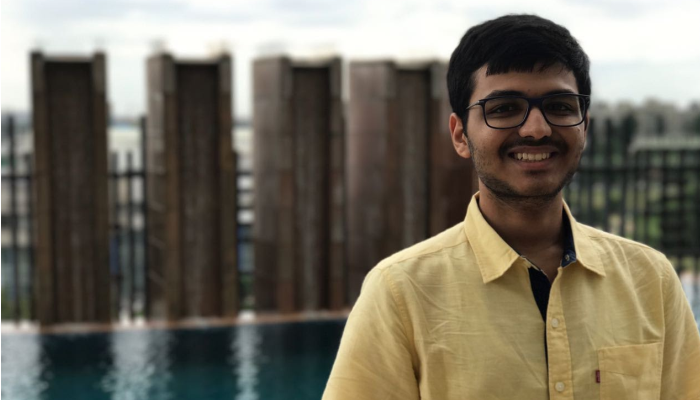 No stranger to winning accolades, Mukund says that all of the quizzing, linguistics and competitive interest has given him fully sponsored international trips in the past too. “I have been to Switzerland where I got the 1st prize in the Travel Quest quiz, Ireland (for the 2017 International Linguistics Olympiad), China (for a quiz on Indo-Chinese relationship), and look forward to visiting Austria now for the Peter Drucker conference,” he says. By interacting with renowned personalities, thought leaders and speakers from the world of management, and academia, Mukund hopes to gain experience and exposure at the forum. “I will get this priceless opportunity to connect with some of the greatest brains in the globe today, get to know about how and what they think about the world of AI and how that is influenced by management in this century and share some of the thoughts with my community back in India,” he says.